Ahhh, okay, I haven’t been on here as much as I’d like. But I hope you’ll agree it was worth the wait. I was pretty busy with the holidays, but I vow to do better this new year! I PROMISE! Today, I wanted to share my canvas creations. This year, being po’ like I am (still on medical leave), I handmade gifts for my family members and here’s what I came up with. For my bro and sis-in-law, I wanted to make a family piece. My niece Olivia was adopted and I wanted to create a collage focusing on her and our whole extended family and how her addition to the family has touched all of our lives. 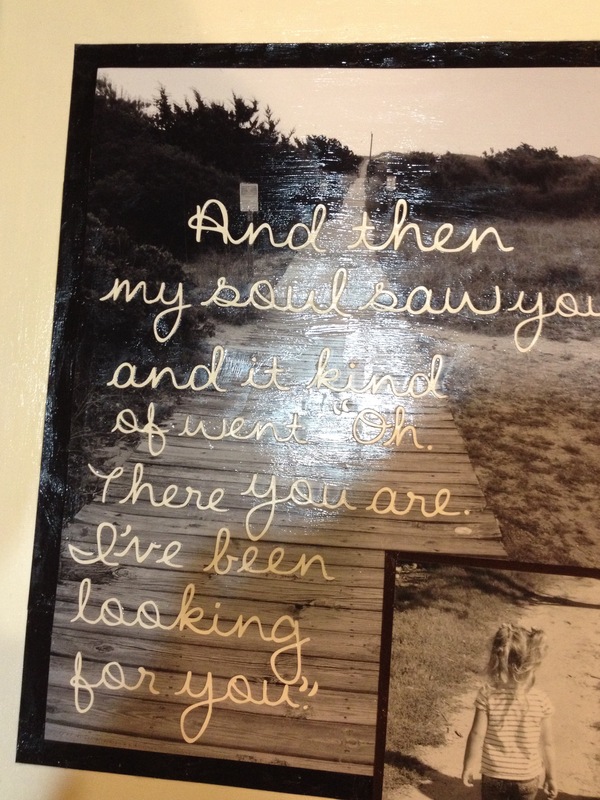 The quote I found says, “And then my soul saw you and it kind of went, ‘Oh, there you are. I’ve been looking for you. '” That made me think so much of Olivia’s adoption and the entire journey of my bro and SIL. Canvases – whatever sizes you like. Your photos in different sizes that you like. 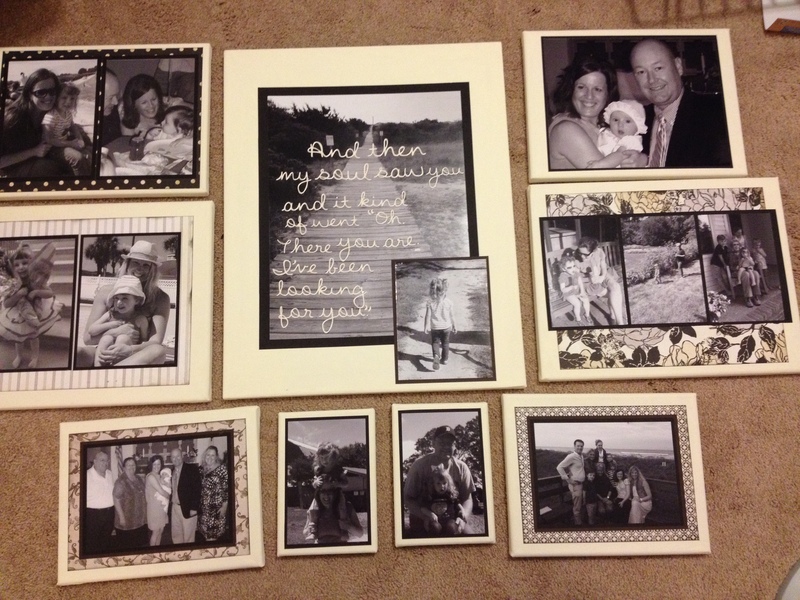 Shutterfly is my fave and I just wait for good sales – 50% off on these plus free shipping! I always say, “This is so easy!” To which everyone always says, “Yeah, right.” It truly is. After you’ve done one of these, it’s a breeze to do the rest. and the nice part is arranging them however you like. I prefer the largest photo in the center and the rest laid out symmetrically. You don’t have to put patterned scrapbook paper behind every photo, but it does look good to have a solid cardstock behind each (I chose black – it’s timeless) as it grounds the picture and makes it visually appealing. There are tons of arrangements for layouts on Pinterest and other sites like this DIY site. Once you have a layout you like – take a picture of it on your phone! Trust me, you’ll forget what goes where! Note: These canvases? On sale. Usually about 50% off at Michael’s (THEY ARE RIGHT NOW!) Normally $19.99 for some of the packs, marked down to $12.99 and then 20% off of that. That’s for a pack of 10. So maybe $1.00 per canvas? Word. Step 2: Paint your canvases. Pretty easy. 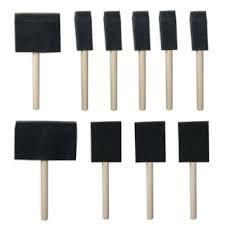 I use large foam brushes that I buy in bulk bags when I find them (using my coupons of course!). Sometimes I find them at big craft stores, Walmart or Amazon. I used the biggest 4″ brush for this project. 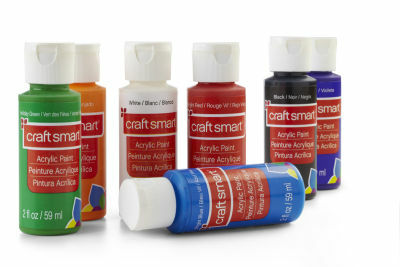 I used Craft Smart acrylic paint that is mega-inexpensive. Right now, they are 40 cents a bottle at Michael’s (with that 20% coupon! ), but normally they are only 59 cents. For real yo. This project I used one entire bottle, but I recommend having at least 2 depending on the size of your project and the color you want to obtain. Nothing worse than running out of paint. You don’t have to paint it thick, just cover it nicely and let it completely dry (about 15 minutes). Then apply a second coat. That’s all it took for mine. Touch up as needed. Be sure to paint the edges of the canvas, but no worries about the back, obviously! You also don’t have to worry about the part that’s behind the photo either. No one will see that and it’ll save paint. When done, wash brush out with hot water (and dish soap if needed) – it’s very easy to wash out of brushes and off hands and clothes. 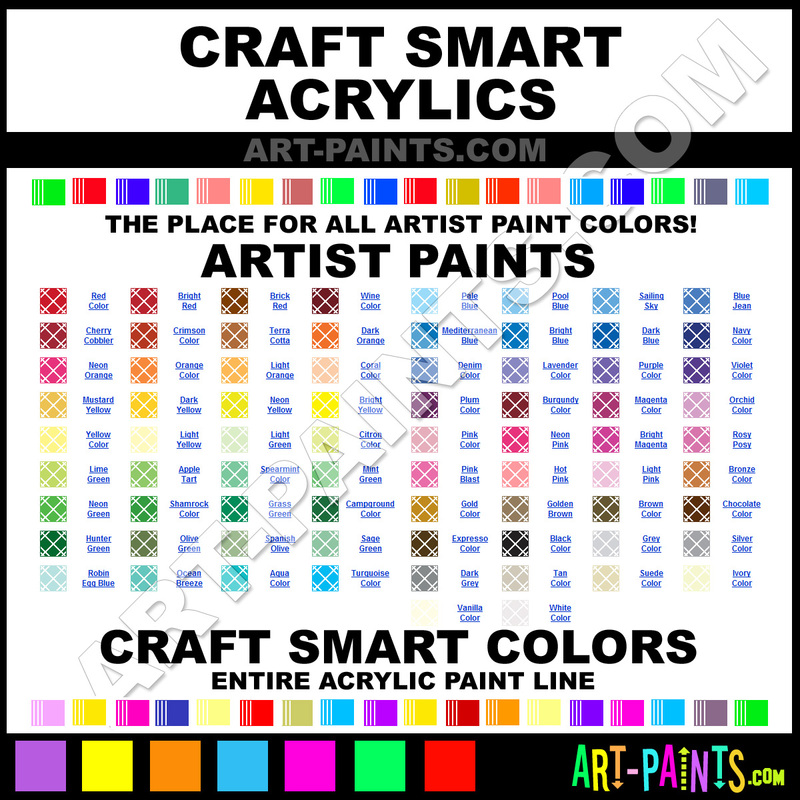 Click here for the palette chart below to help pick your colors! For this project. I used Vanilla. I advise NOT using just the white canvas because it’s a very harsh white. The vanilla gives a calm, creamy look. first – in 2 coats. Let it dry completely. Some of the colors DEFINITELY dry darker than what they look like in the bottle, and that would be mega-frustrating if you are going for a perfect shade! 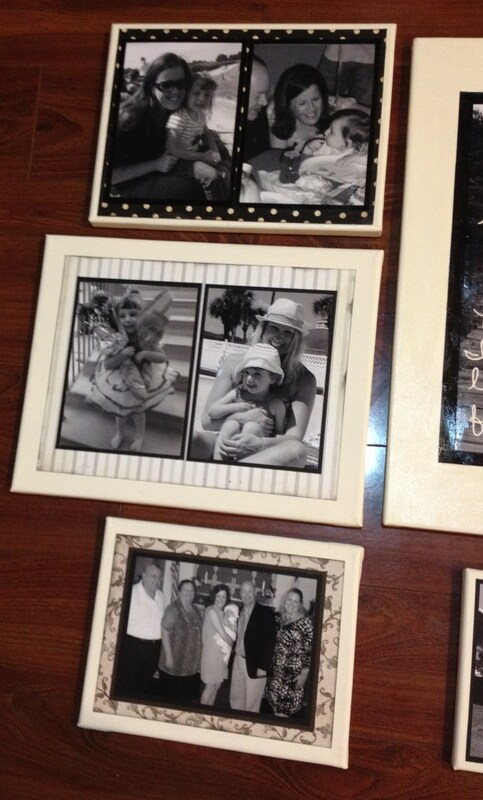 Step 4: Adhere your mounted photos on Patterned Paper. This is personally my favorite part – choosing a color palette. Word to the wise? You can NEVER go wrong with neutral. You never know where someone might hang your creation. However, bold is beautiful too! 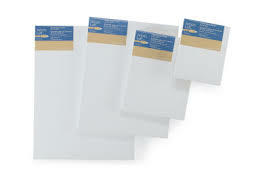 I personally like to use a paper pack where all the papers are different but still blend together. It takes the guess work out (Basic Grey is my absolute favorite). Their “Little Black Dress” is discontinued, but TRUST me, they have tons of gorgeous paper packs or there are other neutral paper packs out there. 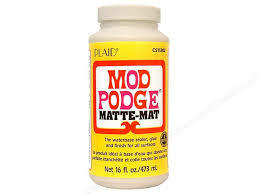 Again, you can use Mod Podge as it is a glue, but you’ll have to wait AGAIN for it to dry. 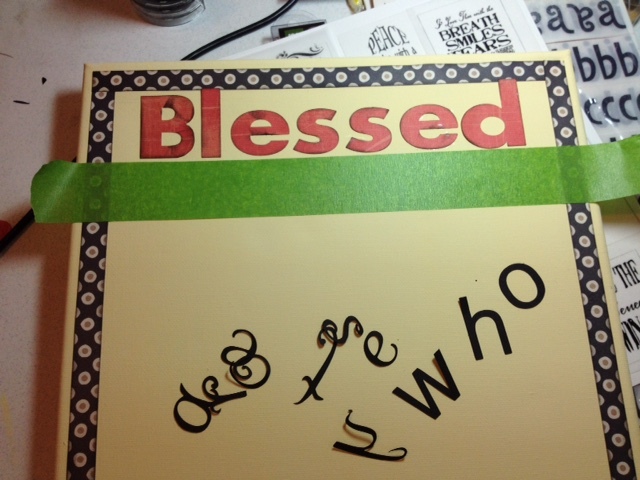 Trust me… go with scrapbook adhesive! Step 5: Adhere the mounted photo on patterned paper to the canvas. Again – easy peasy. 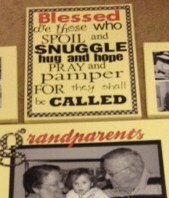 For this, you can use Mod Podge. I (again) used my scrapbook adhesive, which isn’t the GREATEST for canvas, but trust me, it doesn’t matter, as you’ll see in step 7. If you want (optional) you can ink the edges of the patterned paper to give an antiques or shabby chic look. I love pigment Colorbox ink. Dye ink and others dry faster, but I prefer the pigment ink. Just use a cloth or Kleenex to see if the ink is dry along the edges. Remember to let the ink completely DRY before step 7 or it will smear all over. Usually at this point I will do Step 6 (if needed) and then let everything dry and settle at least 1/2 day or until the next day before Mod Podging. letters, lift up the tape and (using the same piece), mark off the next line. 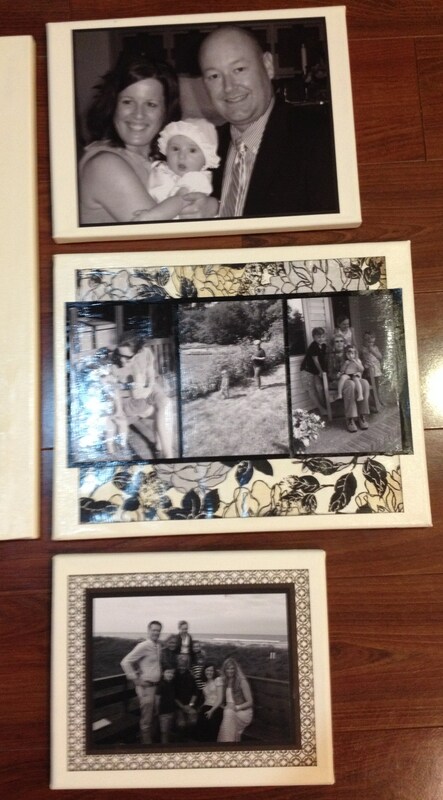 Step 7: Mod Podge the WHOLE friggin’ thing. Yup, the ENTIRE thing. 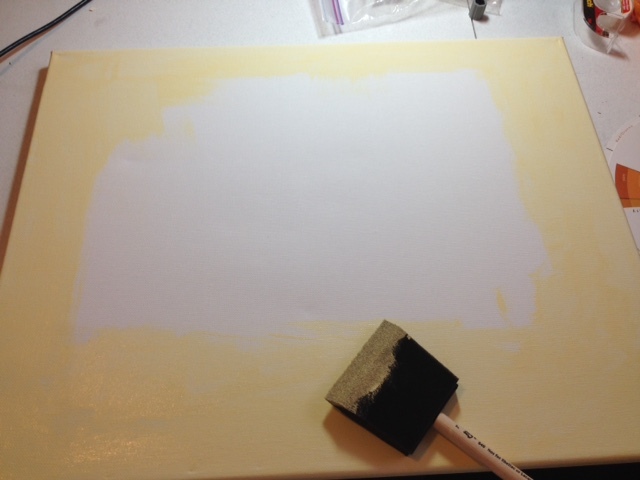 Use another foam brush – a large one and liberally slap on the Mod Podge. On top of the letters, the photos – everything. It will NOT ruin the photo and it dries completely clear. Don’t worry about some letters having thicker coating, etc.. trust me, it all dries wonderfully clear and fabulous. It can have a tackiness to it after drying, but you can (if you wish) lightly sand it when it’s totally done. I usually do 1 layer of Mod and then do touch ups the following day. I’ve never been big on the sanding as I like the MP look. That’s it. Pretty inexpensive project to DIY. Everything else I had from previous projects! So basically, cost to me out of pocket was $9.50. Now, what I charge for this creation? Well, this is art, and art takes time. This project took about 2 days, perhaps 16 hours, so you can guestimate. My projects are priced on a project-to-project basis as they are one-of-a-kind, but I would say something this big would cost $150.00. Hand-made. All done by hand. No machine, cheesy computer printing on canvas (those are cheap because well, they LOOK cheap and they are cheap to produce). Truly, this is a work of art that people will comment on and you will treasure. Contact me if you have a project in mind for a birthday gift, Valentine’s, etc…I will work with you personally to find something fabulous and within your budget! This entry was posted in Acrylic Paint, Altered Project, Canvas, Crafting, DIY, Scrapbooking, Uncategorized, Wall art.